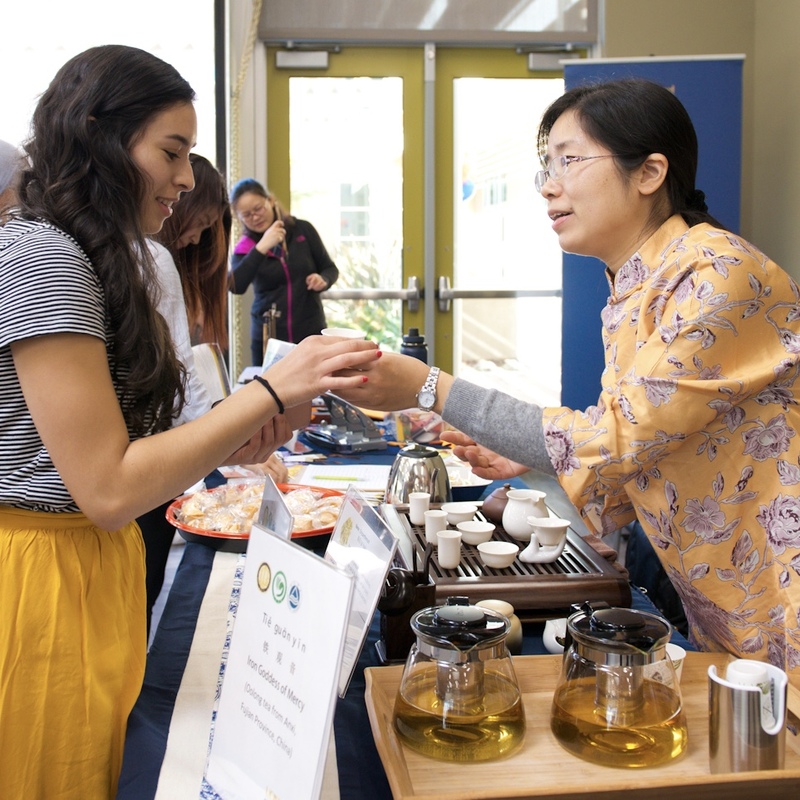 The first in the world to focus on Chinese food and beverage culture, the Confucius Institute at UC Davis brings both modern and traditional cultural events and workshops to our campus and greater community. Complementing UC Davis' unique strengths in food sciences, viticulture and enology, and agriculture, the Confucius Institute, promotes understanding of Chinese food and beverage culture, encourages conversation between industries, and creates a community around art, culture, food and tea. Confucius Institute programs are hands-on, community-oriented, and range from tea lectures and painting courses to food garnishing workshops, cooking competitions, and fields trips to 99 Ranch Market in Sacramento—the largest Chinese supermarket in the U.S.
Festivals and workshops bring learning and community experiences to life. Courses in calligraphy, a traditional art form with a 5,000-year history, teach techniques and create moments of tranquility. 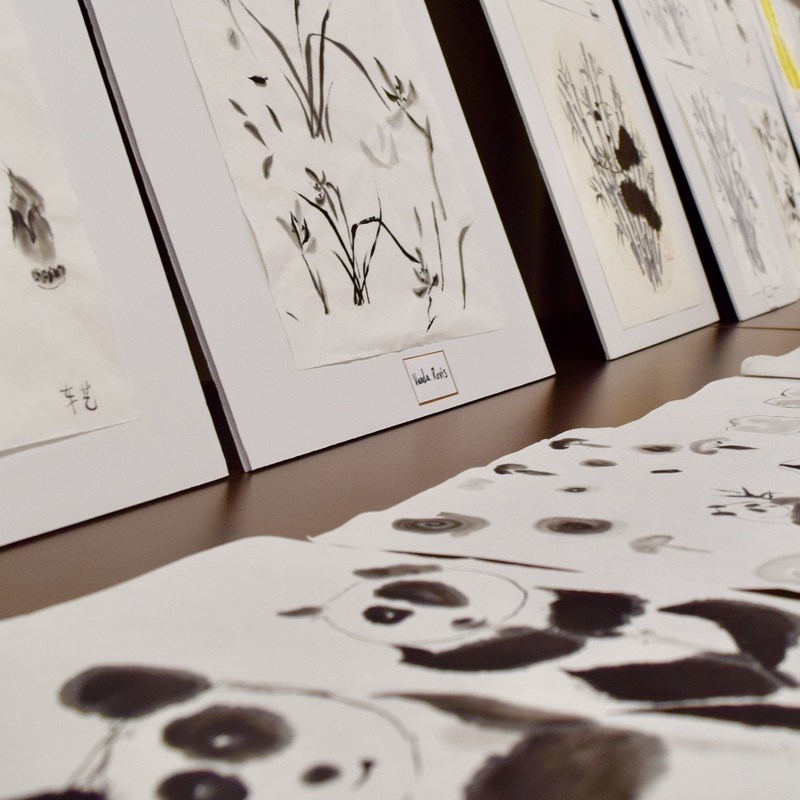 Chinese painting classes teach the delicate balance of ink and water to create bamboo, panda, and landscape pieces. Confucius cooking and food garnishing workshops, and field trips to local markets teach participants how to make (and eat!) traditional Chinese dishes or make beautiful creations, while sharing the history surrounding meals. Our very popular cooking competitions are an exciting chance for the community to share what they've learned. Tea lectures, ranging from full-day conferences to hour-long sessions, share the long-standing history, health benefits, brewing tips, serving etiquette—and the science and art of tea. Presentations on wine introduce the seasonings, principles and methods of brewing Chinese wine. For more contact information, visit the Confucius Institute People Directory. 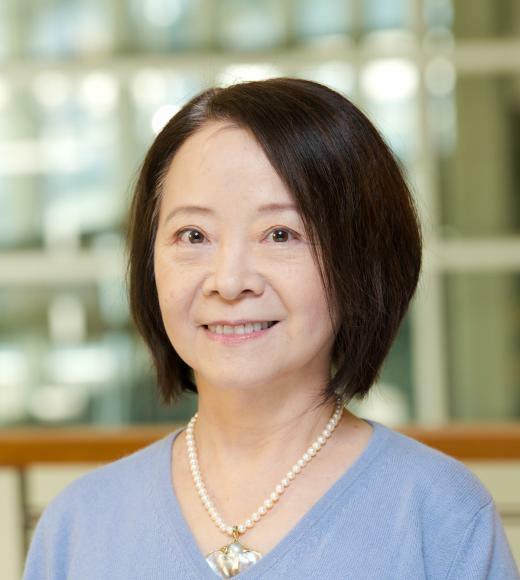 To learn more, register for events and workshops, and find contact information, please visit the Confucius Institute at UC Davis' website. Supported by Hanban, a division of the Ministry of Education in China, the Confucius Institute at UC Davis is among several Confucius Institutes at universities in California, including San Diego State University, San Francisco State University, Stanford University, UCLA, University of California, Santa Barbara, and California State University, Long Beach.